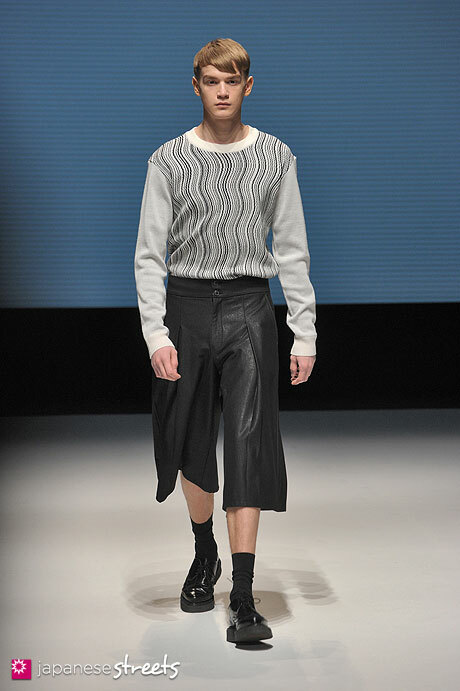 Autumn/Winter 2013 Collection of Japanese fashion brand Patchy Cake Eater on March 18, 2014, in Tokyo. Kjeld Duits: @Maria: Yes, here was a move away from main street men’s fashion. I liked this show a lot. Love the name, too! Kjeld Duits: @Kimi & Maria: The collection also has a very bookish feel to it, don’t you think? Maria: I liked the bookshelf in the background, very suitable to the whole collection. Lately I have seen some pijama-like pieces and this ones are very nice ones. The concept has a nice London feeling to it that makes it very charming. Kimi: That was really beautiful, and calming to the eye. I love the berets! 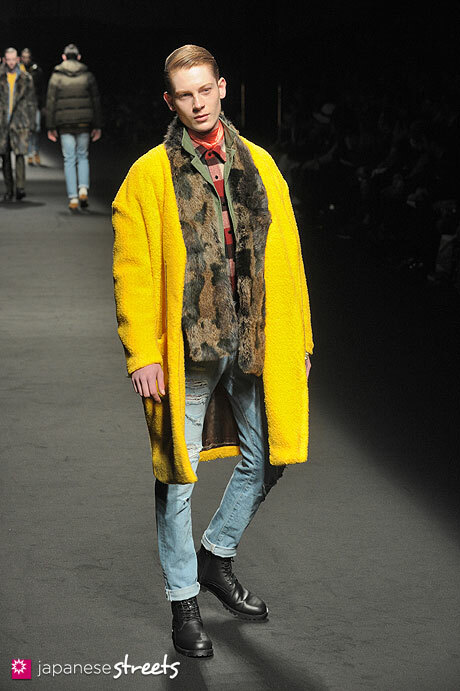 Autumn/Winter 2013 Collection of Japanese fashion brand DRESSEDUNDRESSED on March 18, 2014, in Tokyo. Kjeld Duits: @Maria: I barely follow non-Japanese designers, so am unfamiliar with Wang’s work. Have to check. But I did feel a lack of imagination in this show. 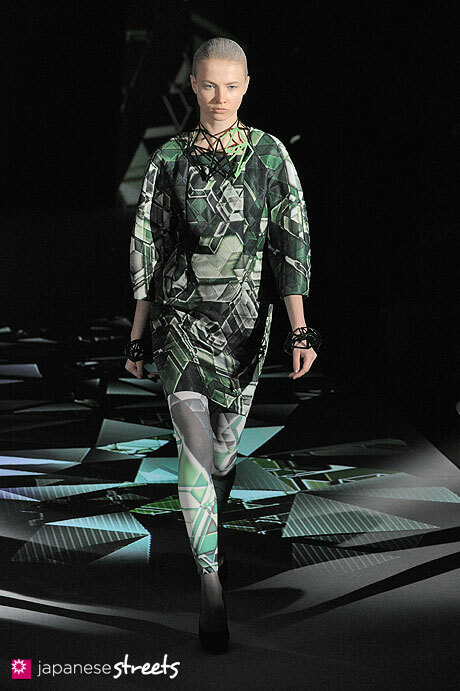 Autumn/Winter 2013 Collection of Japanese fashion brand beautiful people on March 18, 2014, in Tokyo. Maria: Just like you described it: flawless. I adored the color palette. Shoes matched perfectly with the outfits. Great collection. 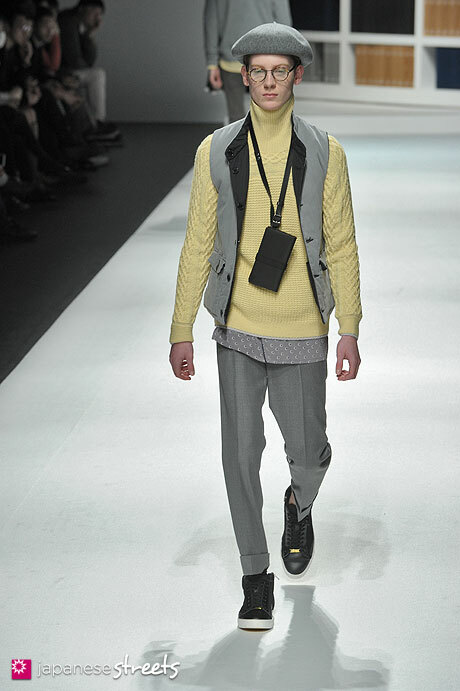 Autumn/Winter 2013 Collection of Japanese fashion brand ATSUSHI NAKASHIMA on March 18, 2014, in Tokyo. Maria: Amazing! It kinda reminded me of Star Trek, the designs are just centuries ahead, loved it! Kjeld Duits: @Cath Gyrpcock: There are several online shops that carry ATSUSHI NAKASHIMA, such as yoox. Do a search to find other ones. You can also contact the company directly to ask them where their line is carried: ATSUSHI NAKASHIMA. 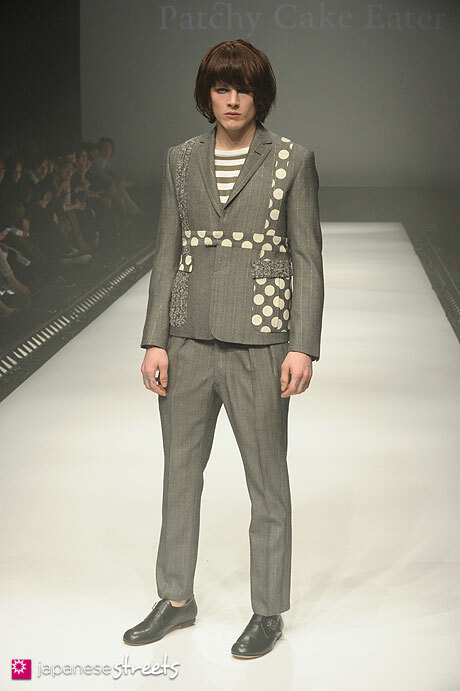 Autumn/Winter 2013 Collection of Japanese fashion brand MR GENTLEMAN on March 18, 2014, in Tokyo.